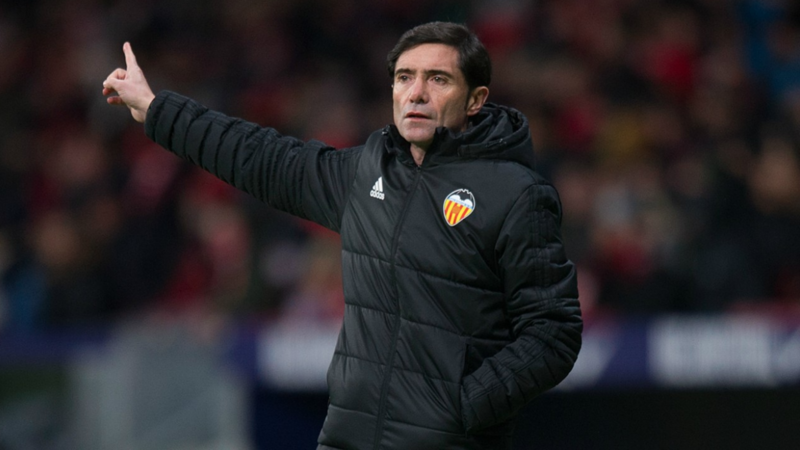 Valencia manager Marcelino cut a frustrated figure during the post-match conference conducted following a disappointing 0-0 draw at home against Real Betis. Valencia are currently placed 17th on the table with only 3 points in the kitty with a title challenge seemingly unlikely considering the 9 point gap with table-toppers Barcelona. While Marcelino was full of praise for his men, hailing them for the utmost commitment and determination they have endured through thick and thin, it does not take a Houdini to figure out when a man is offering nothing but lip service! The Spanish manager’s actions are fully justified considering the lukewarm performances in recent fixtures with the outfit struggling to execute their plans effectively at any stage. Valencia Striker Rodrigo has clearly lost his mojo despite kicking the season off on a bright note. His poor finishing a clear indication of the lack of confidence in the side. Jaume Doménech, the Valencia goalkeeper who was handed a rare start considering the midweek fixture against Juventus kept his side in the game with a couple of stunning saves with the defensive unit in a state of utter discomfort against the Real Betis attack. 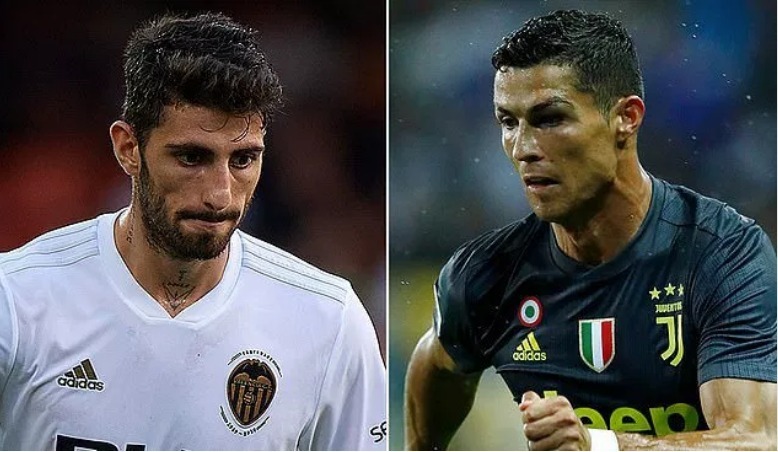 The Spanish outfit will be hosting Juventus who are currently sitting top of the Serie a table following a 2-1 win against Sassuolo with Italian manager Massimiliano Allegri enjoying a full-strength squad. Valencia, on the other hand, will be missing out on the services of influential French midfielder Geoffrey Kondogbia (ankle injury). Defenders Jeison Murillo and Ezequiel Garay are also sidelined due to hamstring and knee concerns. 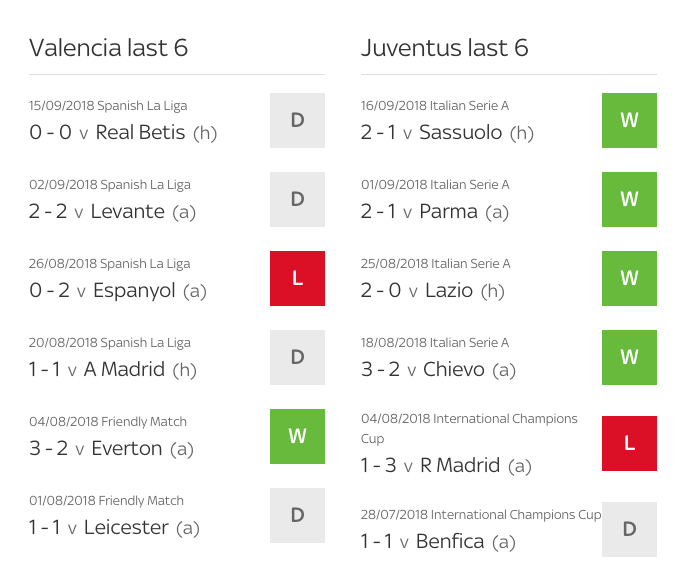 It will take nothing short of a miracle for Valencia to register a win against their Italian counterparts considering their lack of momentum and shambolic performances in recent times. However, the roars of the home fans at the iconic Mestalla can certainly spur the side on to deliver the impossible.